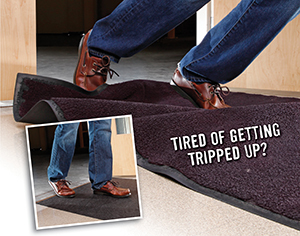 ICEGRIPS®-Rotor from Winter Walking is a uniquely versatile ice and snow walking device that allows workers to move safely from indoor surfaces to outdoor surfaces without putting on and taking off their traction gear. Rotor is closed with spikes facing inwards for indoor conditions. 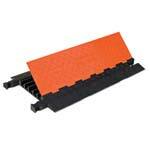 It twists from closed to open with spikes facing outward for ice and snow conditions. Checkers Industrial Safety Products Inc.'s GUARD DOG® Heavy Duty Cable Protector protects electrical cables and hoses from damage and provides a method of safe crossing for vehicle and pedestrian traffic. 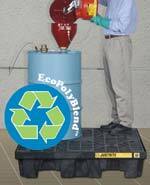 Its hinged lid allows for easy access and can fit multiple cable and hose sizes. Wolverine®'s Glide Steel-Toe EH Lace-to-Toe Oxford is a skater-sneaker-inspired work shoe that features performance leather, a suede upper, and a removable full-cushion footbed. Made with a slip-resistant rubber outsole and wave mesh for breathability, the shoe is available in Gunsmoke, Black, and Taupe, and as a slip-on with win-gore construction. Andax Industries LLC's YakTrax® are made for anyone who faces winter elements. 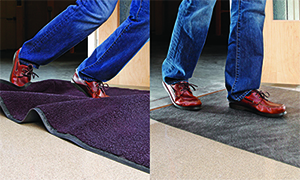 Stretchy and easy to don and doff, its outer band conforms to the length and width of nearly all types of shoes and boots, and its hand-wound, abrasion-resistant coils give 360 degrees of traction on ice and snow. 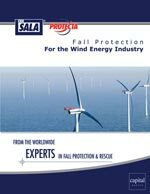 Capital Safety's latest publication, Fall Protection for the Wind Energy Industry, is designed to serve as a reference tool for fall protection and rescue specialists who must deal with the challenges the wind energy industry presents. The guide addresses fall protection, solutions for wind turbine construction and maintenance, and more.